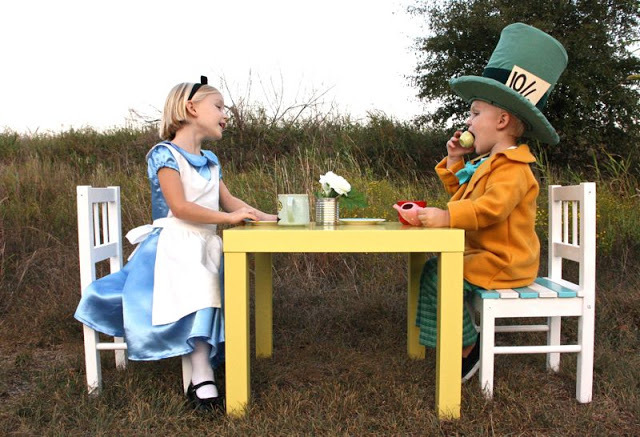 Halloween costume time is upon us again…..which I swear, creeps up faster than 12 months each year. Amiright? So let’s get the inspiration party going! 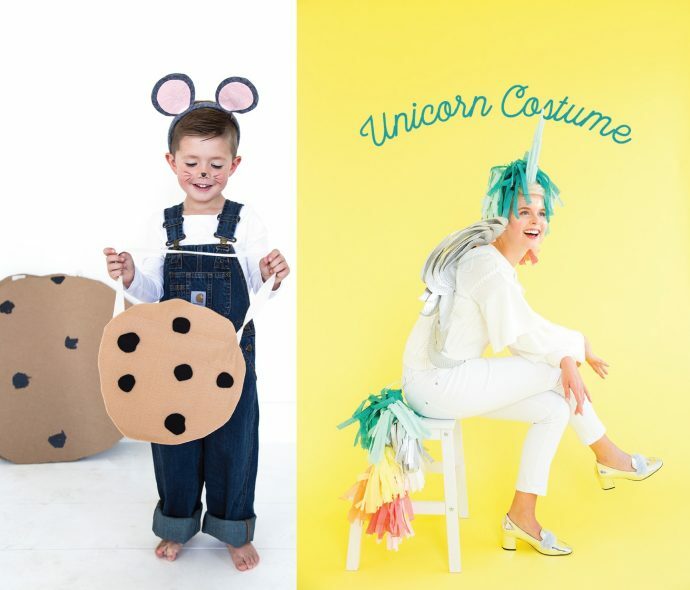 Cause whether you’re doing a semi-homemade Halloween, or going ALL out, it’s nice to have some tutorials to turn to. Going as an ensemble is always a great choice. 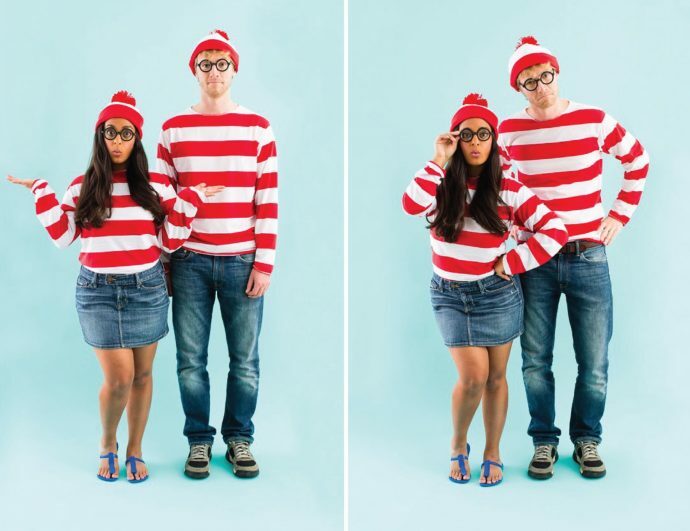 And the Say Yes blog has so many great couples costumes that are easy and fun. My kids have just discovered the Where’s Waldo books and would love this. Of course if you have even more people in the group, then an entire cast ensemble is even better. 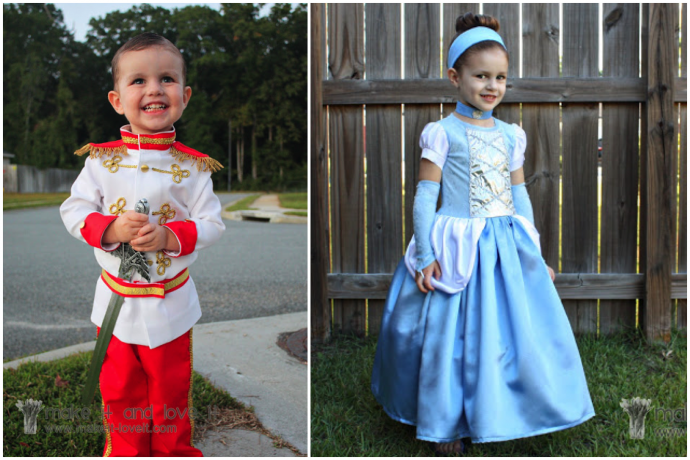 If your daughter is still in that princess stage, how cute would this Cinderella and Prince Charming combo be?! Those times when siblings are willing to coordinate is The Best. 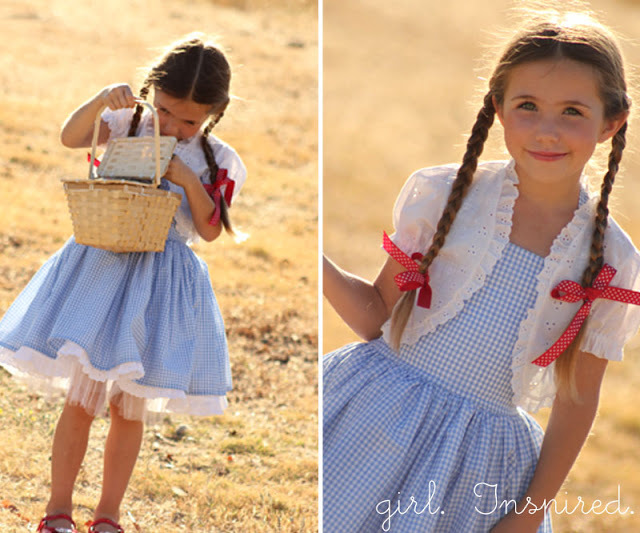 The classic blue gingham Dorothy outfit is one that every little girl would LOVE to wear at least once – I know I would! This interpretation is one of the best I’ve seen. The 80s child in me loves this take on Mario & Luigi. 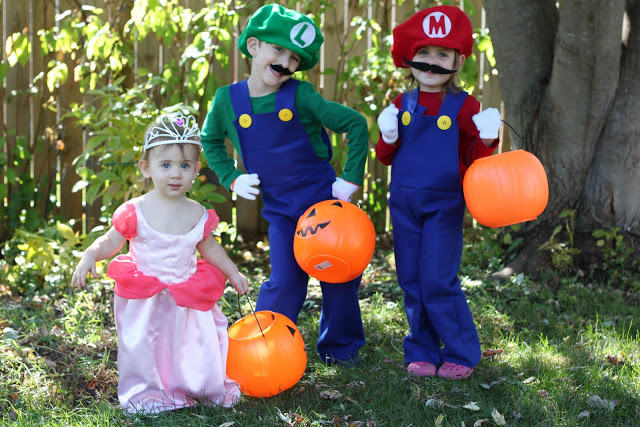 Complete with Princess Peach! 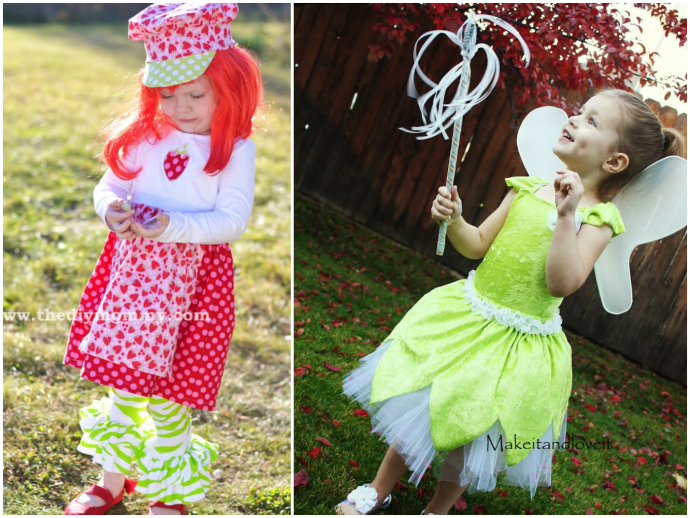 A couple of others that are cheerful and colorful—- Strawberry Shortcake and this adorably dimpled Tinkerbell. 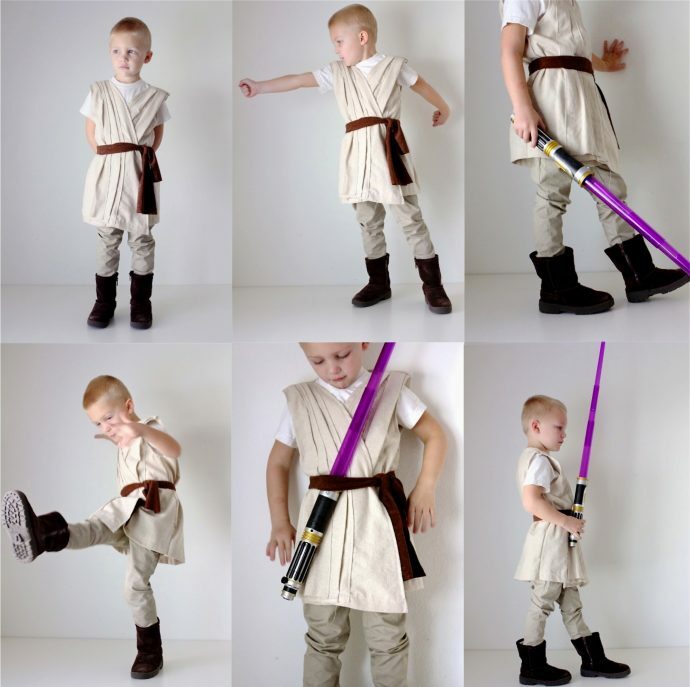 For all those Star Wars fans, being a Jedi is easier than you think. Check out this and this, and channel the force from both sides. 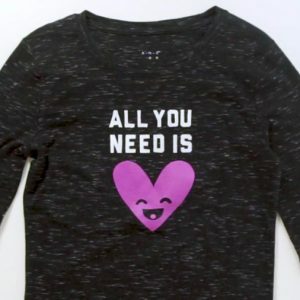 In case your child feels like going a bit more creature than character, the sewing tutorial blogosphere has you covered there, too. 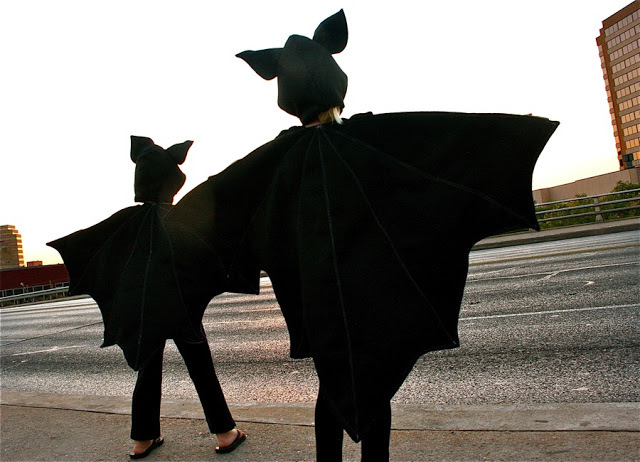 Two of my favorites from my own archives – Goldfish and Bats. 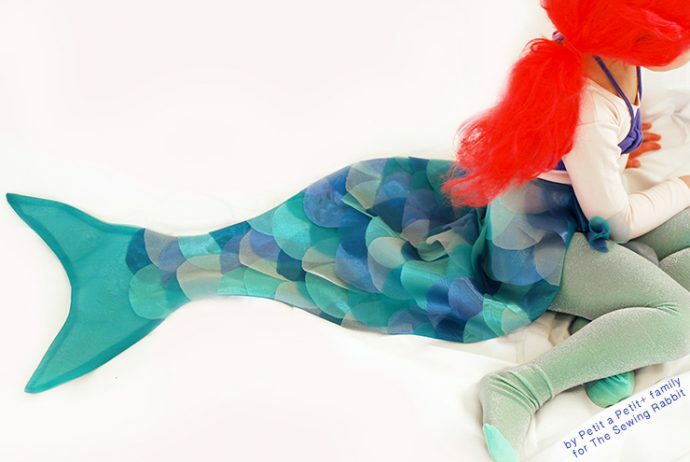 This mermaid one, you guys. Stunning! House that Lars Built is a treasure trove of costumes, like If you Give a Mouse a Cookie and this Unicorn (with a video tutorial too!). 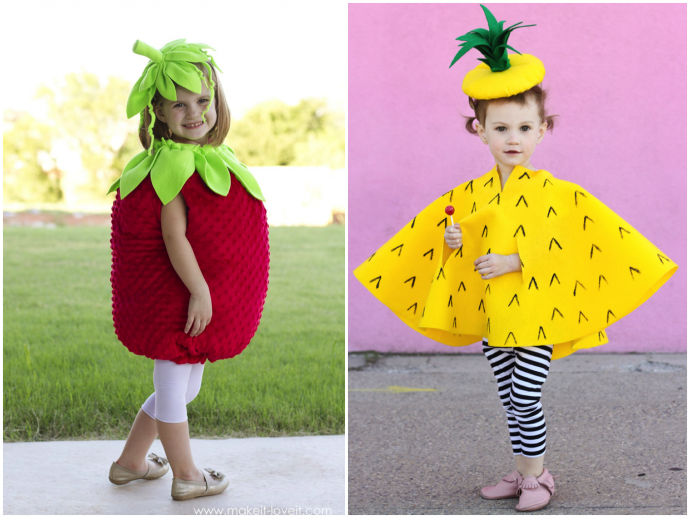 Just type the word “costume” into her search box and tons of ideas will pop up. 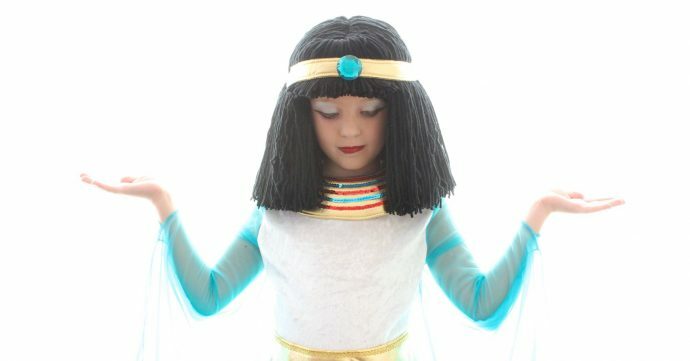 And how amazing are these mummies? I love how she did the make-up, too. 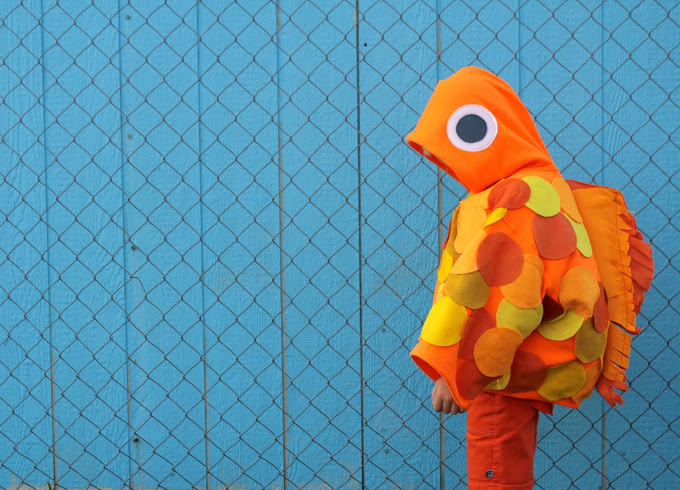 If you’re looking for some costume ideas for adult-aged kids, you have to visit Studio DIY. She has some awesome ones, including a disco ball (!! ), Troop Beverly Hills, and a burger. 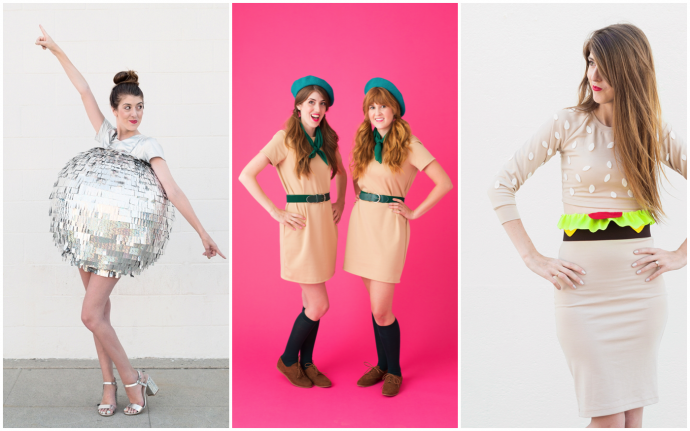 Lastly, here are a few tutorials that can be used in MANY costumes. 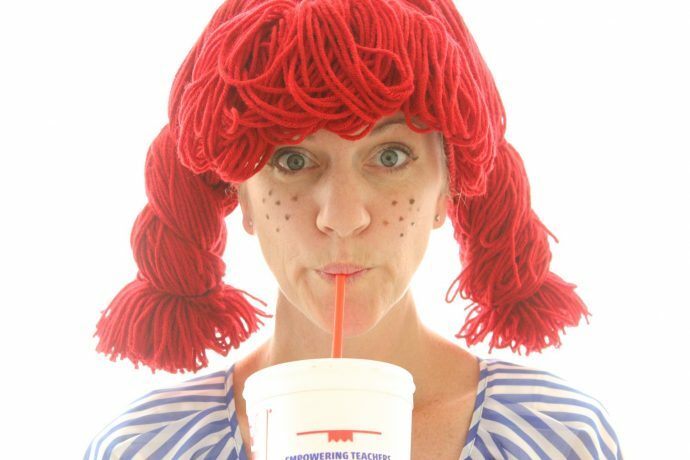 I can’t stop thinking of ways these yarn wigs can be used. In fact, if you’re short on time but want to create a costume, one of these wigs will get you 90% of the way there. 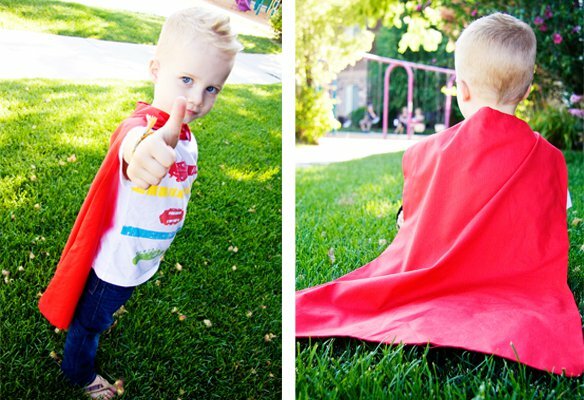 Need a cape to complete the look? 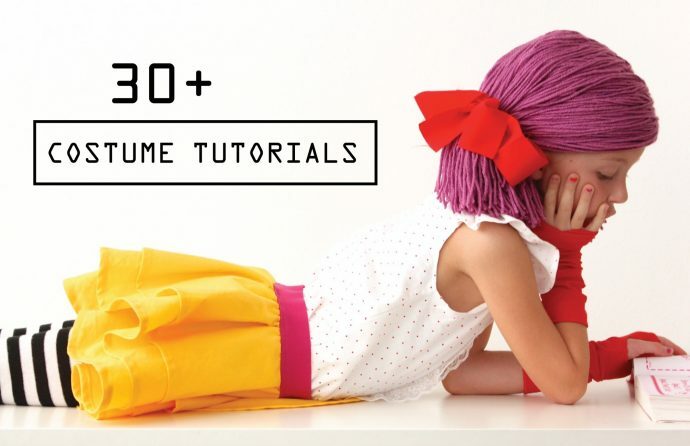 This tutorial is great and would be the perfect touch for so many costumes. 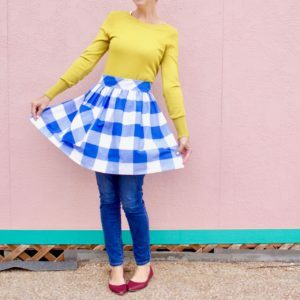 Just change up the fabric for a completely different look, or choose two different ones for reversible. Ah. So much fun! 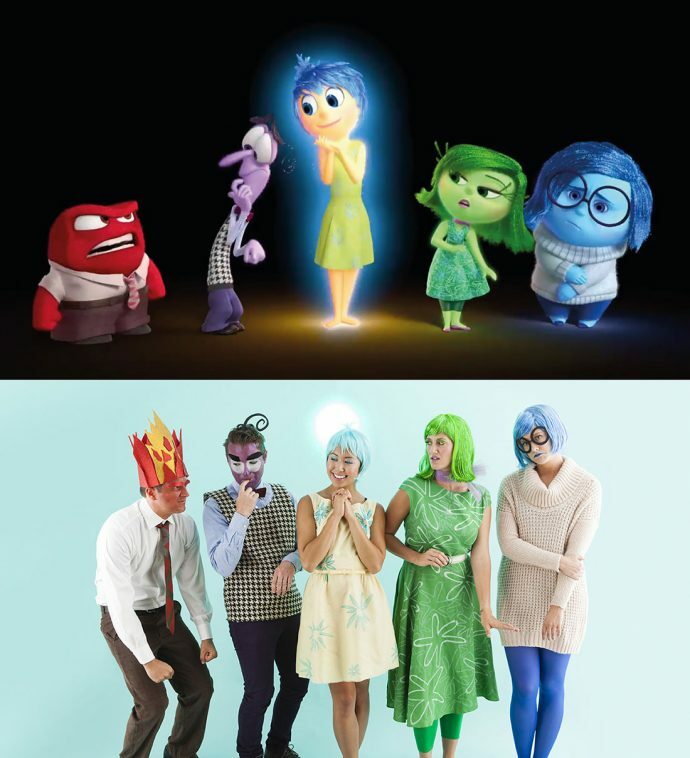 Do you have any awesome costume tutorials that you’ve used? Please share in the comments! My girls are going to be Santa’s elves and I’m making them red skirts from your circle skirt video! Thanks for making it so easy! 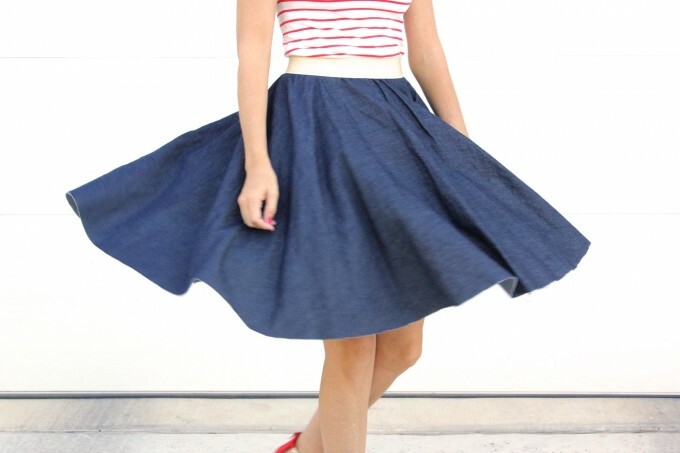 You’ve saved me many times with your circle skirt. My daughter had a poodle skirt for 50’s girl (once for when she was 2 and last year for the school’s parade) and it was made into an evil queen’s gown one year! I even made a matching costume for her doll. And I made matching trick or treat bags from your tote bag tutorial. Thank you for coming to the rescue! Trick or treat bags!! Brilliant! Thanks for the idea! Then, little sister wanted to use it with her friend, so we made jam for her friend!